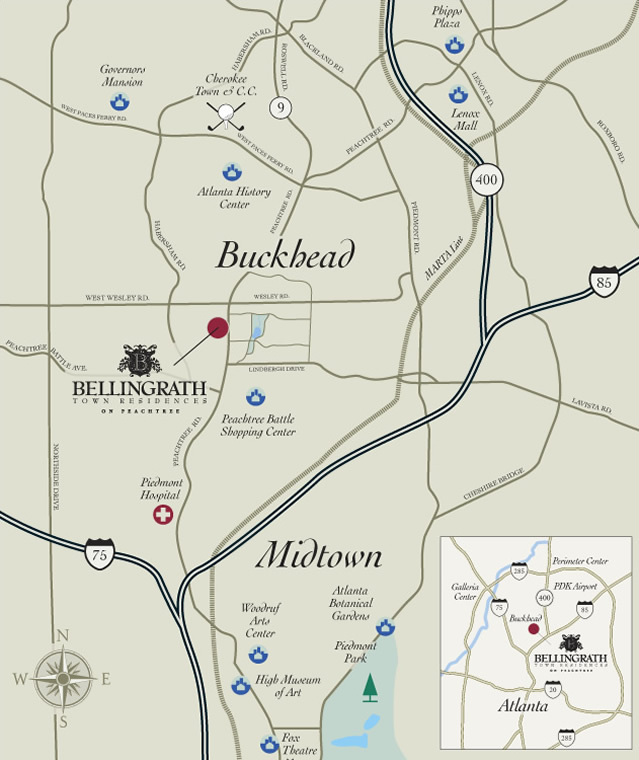 Located on the west side of Peachtree Road in the epicenter of Buckhead, you'll find The Bellingrath — one of the most luxurious town residences ever to grace the city. Prominent Atlantans have long chosen to call this neighborhood home — elevating the area to literally the most prestigious and exclusive address in the city. It is an idyllic urban neighborhood and is home to some of the city's most recognized historic churches. Exclusive restaurants, chic boutiques and galleries are also located within a short distance. Set against this dramatic backdrop, Bellingrath is the exclusive home for eight stunning residences. These exclusive residences emphasize the natural attributes of the area with an inviting European-styled streetscape along the front, and architecture inspired by the classic French designs of the École des Beaux Arts. Private garden courtyards, terraces and loggias provide an exquisite opportunity for outdoor entertaining. Each residence is expertly hand-crafted in the old-world tradition, adhering to the highest quality in construction standards. Featuring over seven thousand generous square feet of living space, owners do not have to compromise on room. The Bellingrath – presenting a higher standard of living, and a remarkable home ownership opportunity.